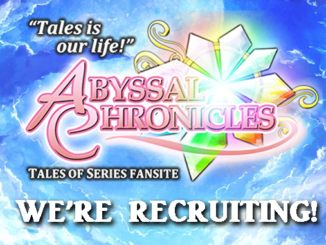 HomeAbyssal Chronicles[APPLICATIONS CLOSED] Abyssal Chronicles is Looking for News Writers! 02/05 Update: Applications are now closed! We'll be going through the entries and contacting potential candidates within the next week or so. 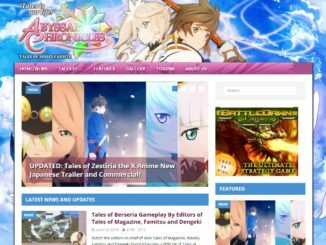 Abyssal Chronicles is an entirely fan-run site that has been covering major news pieces from the series for 10 years. We never expected this site to grow like this, and because of how busy our lives have become now, we are looking for News Writers who can help us out. If you have a passion for Tales of and are constantly on top of the latest in series news, then this may be the role for you. Constantly on top of the latest in Tales news from the right sources. Open to following our posting guidelines for news. Professional with all posts created for the site without implying bias. Respectful of other people's opinions. Able to differentiate official and user-created content, while following the correct procedure of crediting the latter. Maintain constant communication with the rest of the team. Though not a mandatory requirement, knowing a bit of Japanese is a plus! We need people who are dedicated, noticeably active (preferably), and won't drop out last minute--we've had this happen in the past. 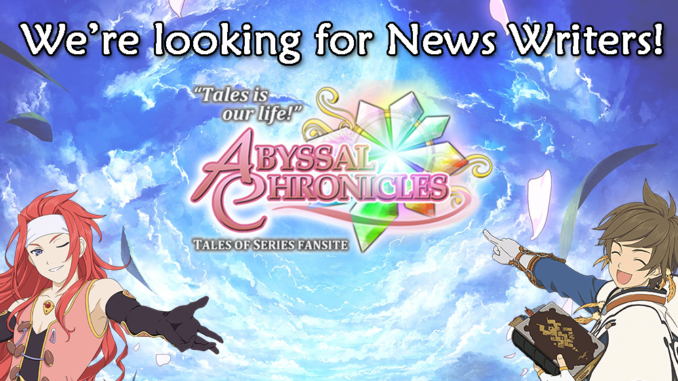 If you feel that you are qualified, then send us an e-mail to contactus@abyssalchronicles.com detailing why you feel you can be a News Writer for Abyssal Chronicles and any credentials/experience you've had in the past. Please keep in mind that Abyssal Chronicles is entirely volunteer based, but you have an opportunity to become part of a team that is dedicated to the series and at the same time is recognized by many in the community--including all branches of Bandai Namco Entertainment, Inc. Application e-mails will be accepted until February 4th, 2017 @ 7 PM (-6 GMT). Thereafter, all of the e-mails will be reviewed within the next two weeks. You'll receive a verification e-mail whether you have been accepted or not into the team. AC's Tales "Caption This!" Contest #2! 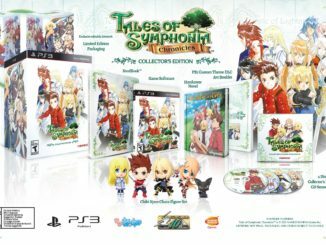 Win One of Two Tales of Symphonia Chronicles Collector's Editions!